More than 10 million American women suffer from and have trouble controlling mood swings every year. Mood swings can be frustrating and impede daily life because they not only affect women, but also the people around them. For a woman dealing with mood swings, it can mean missing out on things she used to enjoy and not being able to complete daily activities. For family and friends, being around people with mood swings can mean an unstable environment and can be difficult to cope with. Read below to find out more about controlling mood swings. During the course of a day it is normal to experience some variations in emotions. You feel differently during different times of the day, such as when you wake up, are at work, eat lunch, and go home after work. Most people also react emotionally to certain situations and isolated events. Women who experience mood swings can have more severe reactions that are often unwarranted. This can make it more difficult to focus on tasks at work and home. What Are the Causes of Mood Swings? 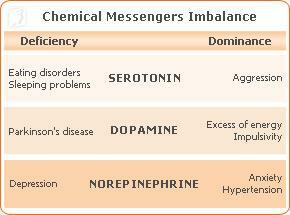 Most mood swings in women are brought on by a chemical imbalance. There is no definitively normal level of hormones and chemicals; everybody has different levels of chemicals and each body reacts differently to those chemicals. Levels of dopamine, serotonin, and norepenephrine are thought to influence mood swings. Researchers have also found that changing hormones can affect mood swings. Adolescents can have mood swings when they enter puberty and women can experience mood swings at the beginning of menstruation, around menstrual periods, when they are pregnant, and as they transition through menopause. These are all times of life when hormones are fluctuating. When women are in the premenstrual cycle or are approaching menopause, the body undergoes significant changes in estrogen levels. When approaching menstruation, the levels of hormones greatly fluctuate inside a women body to allow for the constriction and the expulsion of the egg. These natural processes affect hormone levels and can lead to mood swings. Changes in mood happen to all of us and are common as we go through life. Certain situations can make us feel happy, sad, bored, and depressed, but when these feelings disrupt our lives, such as, work, school, friends, family, and relationships, it can be detrimental. Lifestyle changes such as diet and exercise, spending time with family, and participating in activities and hobbies you enjoy, will help you maintain overall physical and mental well-being. There are also alternative medicines that have been known to help the body rejuvenate chemicals and enhance emotional state. People often turn to these when they don't have the time or energy to make a lot of lifestyle changes. If you have severe mood swings, feel depressed or feel that something is drastically wrong, it's important to talk to your doctor about these symptoms as soon as possible. For more information on mood swings and how to treat them, follow the links below.